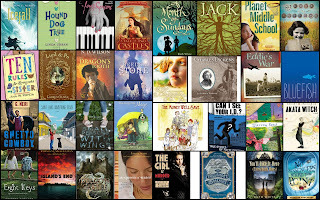 How do you select the books you want to read? Usually, I see ads for books on the internet or someone recommends them for me. 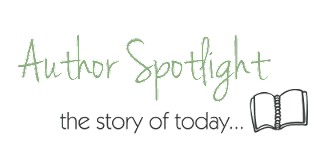 My favorite book is The Forest of Hands and Teeth by Carrie Ryan. What is your favorite thing about reading? I love the fact that there are so many creative ideas that people come up with, and really experiencing what it would be like, asking yourself, "What if?" Do you read on an e-reader/phone/computer? 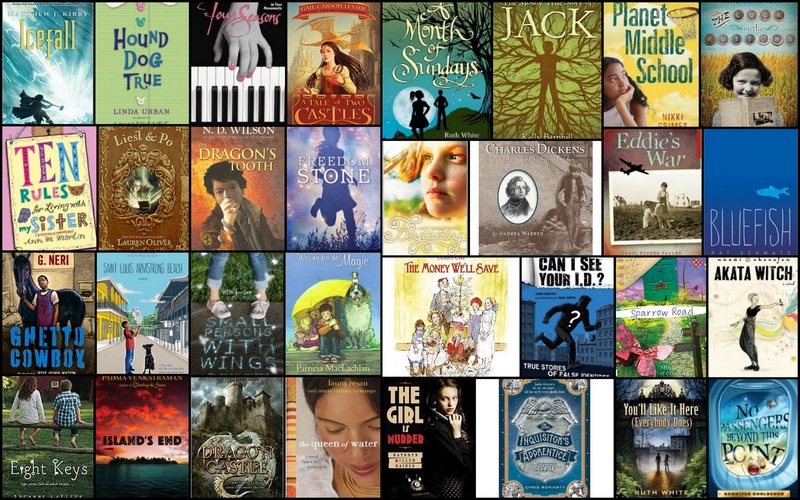 What kinds of books do you think are most popular with kids your age? Why? I believe that books that kids my age really like to read romance novels, (though I really don't enjoy them) All kids, mostly girls, at the pree-teen age like to imagine if they had a boyfriend like the wonderful, non-realistic ones they experience in novels. I am anxiously awaiting the release of the third book in the trilogy the Iron King, the Iron Prince. I heard it comes out this month, so excited!! I am currently reading the new novel Matched, by Allie Condie though I haven't gotten into it yet! This doesn't include adult books, under the radar books, holiday books, or books I just want to read! Hopefully, I can still fit them all in! Being a school librarian helps in that I will have two days off for Thanksgiving and two weeks off for Winter Vacation. What's on your reading list? Are there any titles I need to add? It is very exciting and today I will be reviewing my first book! As you saw the title is THE GREAT GLOBAL PUZZLE CHALLENGE WITH GOOGLE EARTH. It was an exciting book that was very interactive. At the beginning of the book it was very detailed on how you set up things on Google earth (yes, for someone people it may be a downside if you don't have a computer) At home, we already have Google earth, so with a couple of clicks I was ready to begin my journey. At each destination you had coordinates to type into Google earth. It would then take you to the location to explore. In the picture inside the book you were asked to spot 3 things/items, a flag, a historical and geographical misfit, and pick up a souvenir. I didn't do these things right away. It was something I could skip and it wouldn't ruin up the number points I needed for the "final/secret destination" With each destination it would then tell you to either type in a destination in that city or to scroll along. (For example cruise down a river until you get to the ninth bridge along) It total there were 11 destinations before you had all the numbers for the "final/secret" destination. My favorite destination was Tokyo. It had a neat challenge on where you had to pass green roofed buildings to reach a pagoda. If you messed up you were back at square one. And sadly I messed up. I took a turn somewhere, when I shouldn't have. Out of everything there was one thing that I didn't like, and it would be the final destination. I thought it was going to be some exotic place, but it wasn't. I guess I thought that it was leading me up for some neat destination. I found this book very educational, as I learned new things about each city by doing fun events. I would highly recommend this book especially to kids as it is a fun way to learn! I would like to thank Blueslip Media for the book! It was very generous! I've finally reached my second book: Drums Girls and Dangerous Pies I am currrently on page 64. To keep the mood of reading I found a couple of videos! Take a look! 24 Hour Read-a-thon: Another Update! Right now, I am currently reading All These Things I've Done by Gabrielle Zevin. I'm starting to get sleepy... so wish me luck! 4. Did you have to make any special arrangements to free up your whole day? Off Reading Yes! How did you deal with those? Sadly nothing! 6. What surprises you most about the Read-a-thon, so far? How tiring it is! 7. Do you have any suggestions for how to improve the Read-a-thon next year? ..... No? 8. What would you do differently, as a Reader or a Cheerleader, if you were to do this again next year? Read more! 9. Are you getting tired yet? Too much! And my favorite football team just lost.. Waste of my time. Number of Books Read Since Last Update: Partial one, I'm almost done! Number of Minutes Read Since Last Update: 3 1/2 Hours, which would be... 210 minutes! KRW Lucy's ReadAThon Kickoff... Sortoff! For most of you, you have no idea what yesterday entitled! The blog thing blew my mind off my head and Mrs. B and I must have sent a hundred texts! It was CRAZY! 4)Do you have any goals for the read-a-thon (i.e. number of books, number of pages, number of hours, or number of comments on blogs)? Nope! 5)If you’re a veteran read-a-thoner, any advice for people doing this for the first time? First time!! 24 Hour Read-a-thon: Kick off Post! 2)Three random facts about me… I recently moved, I love grapes, and my favorite color combo is lime green, light blue, and chocolate brown! 4)Do you have any goals for the read-a-thon (i.e. 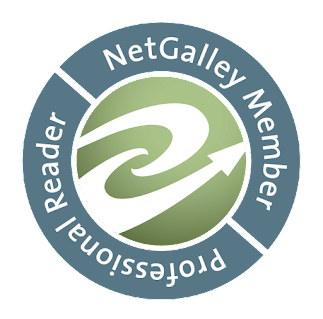 number of books, number of pages, number of hours, or number of comments on blogs)? I'm hoping for 6 hours, because I'm going over to a relative's house today, and I'll be doing alot of other stuff as well. It's time to start! Wish me luck, guys! 2011 October ReadAThon- Are you doing it? 4-? What ever I can find.. Maybe the next book in the Mother Daughter Book Club Series. Hope to hear about all of you reading! 24 Hour Read-a-thon: My List of Books! Crescendo by Becca Fitzpatrick- This one will defiantly be my first book I read, I've been anxious to get to it! All These Things I've Done by Gabrielle Zevin- I met this author at the ATBF, and I recently finished her other book, so I want to try a new book from her! Dash and Lily's Book of Dares by Rachel Cohn & David Leviathan- My friends have recommended this one to me, I've been meaning to get to it for a while! The Absolute Value of Mike by Katherine Erskine- I read another book by this author, [which almost made me cry!] so I also wanted to try this one. Cloaked by Alex Flinn- Like the others, I read another book by the author previously, and this one's been on my TBR for a really long time! Evernight by Claudia Gray-I've heard some really good things about this series, so I wanted to try it out. It sounds like a few really good books I've read previously, so I'm hoping it'll be as good as the others! Beautiful Creatures by Kami Garcia- I've also heard really good things about this book, and it sounds interesting. That's my list! Like I said before, I'll be at my relative's house, but I'll be sure to bring a book along there, just in case I have time to read there! My start time for the read-a-thon is 7 AM, so I'll probably just get up the same time I do for school [so much for sleeping in]. I'll be posting here bright and early tomorrow morning! Some of the books are library books and I might dive into those first. There's a good mix of genre's though no graphic novels, so don't be surprised if one shows up this weekend. 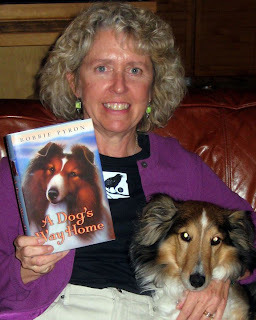 One of the questions I invariably get asked when I visit schools to talk about my latest book, A Dog’s Way Home, is what inspired me to write the book. Unlike the answer to the inspiration for my first book, The Ring, this answer is easy: the two great passions in my life—dogs and books. Several summers ago, I’d finished writing The Ring. I’d tucked it away in a drawer to “marinate” for a month or so before I started revising it. I was up in the mountains hiking with my two dogs, Teddy and Boo. Teddy is a Shetland Sheepdog like Tam in A Dog’s Way Home. Boo is a coyote mix of some sort-perhaps mixed with Border Collie and Australian Shepherd. Teddy, like any good Sheltie, trotted along beside me, never straying far from my side. Quite honestly, Teddy would be happiest if he were surgically implanted in my side. Boo, on the other hand, was off hunting. She always knows where I am even if I can’t see her. From time to time Teddy briefly joined Boo in a chase of some sort, but he always came racing back to my side, licking my fingertips in apology. Watching the two of them interact so differently with me and the wilderness, I asked myself that most important questions all writes ask: “What if?” What if Teddy and I were somehow separated and he had to survive in the wilderness all on his own? Could he? And what about Boo? I was pretty sure with her excellent hunting skills she could survive in the wilderness on her own, but what would she feel emotionally? I was pretty darned sure she’d be lonely for me and Teddy. As we sat beside a fast-flowing stream and ate our lunch, I heard a young girl’s voice telling me about losing her beloved Sheltie in a car accident and how no one believed he would come back to her, but she believed. Thus, Abby’s voice was born. I’m also a passionate reader and have been ever since I can remember. I can no more imagine my life without books than I can imagine my life without dogs. 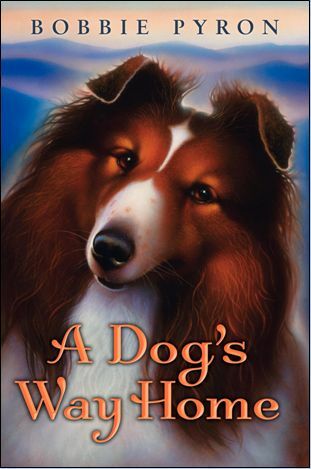 When I was a kid, I read every great dog adventure book out there: The Incredible Journey, Irish Red, Lad, and of course my all-time favorite, Lassie Come-Home. When I first started writing A Dog’s Way Home, I knew I wanted to pay homage to those classic dog books. I read and re-read them as I worked on my own book, using them as my role models for how to best portray the deep emotions of a dog without having the dog actually speak. I am always so honored (and humbled) now when reviewers and fans of my book compare it to those great classics. I like to tell people, A Dog’s Way Home is my personal love letter to the two life-sustaining passions in my life: dogs and books. I like fantasy, realistic fiction, and anything that has action. I read the inside cover of a book, and if it intrigues me, I read it.Sometimes the name, sometimes the cover. Then if it interests me I read the description of the book. I have alot! Basically, anything by Rick Riordan, Maximum Ride Series, City of Bones Series by Cassandra Clare, and the Lorien Legacies by Pittacus Lore. I've got lots of others!!!!! I don't have a favorite book so far. I like a lot of books and I really can't pick just one book to be my favorite. Always seems to change too! I like being able to go to a different place that may not exist, or being halfway around the world. It's fun being able to be someone else and to live their life even if its only for the expanse of the book. I read on my Nook and my moms Kindle sometimes and I read on the computer a lot. Mostly Japanese comics though. Alot of action/fantasy books, because people have short attention spans [like me!] and need to be intrigued. I think action for guys because its almost always about fighting,blood and death. I think girls also like action but do enjoy a good romance book because everyone loves when the gorgeous guy comes and helps the girl and how they will always be together. But I think most girls like when it doesn't end well and they have to work it out. Son of Neptune by Rick Riordan, the rest of the Lorien Legacies series, the rest of the Red Pyramid series, Spellbound by Rachel Hawkins, Hallowed by Cynthia Hand, City of Lost Souls by Cassandra Clare, and Nevermore by James Patterson. I'm waiting for a lot of books to be released but I will only name a few: Crossed, Son of Neptune, Goddess Interrupted, Allegiance, Hallowed, Catching Jordan, and Darker Still. I am currently reading The Power of Six and Divergent. Chime by Franny Billingsley - which we read and discussed in the Goodreads Mock Printz Group. Inside Out and Back Again by Thanhha Lai - we read and are discussing in our SJCPL Mock Newbery book club tomorrow and I mentioned it. Shine by Lauren Myracle - which we read and discussed in the Goodreads Mock Printz Group and I mentioned it. Okay for Now by Gary Schmidt - one of my top choices in the SJCPL Mock Newbery book club. Flesh and Blood So Cheap by Albert Marrin - Johnathan Hunt mentions this on the Heavy Medal: Mock Newbery blog as a Newbery contender but I haven't read it yet. 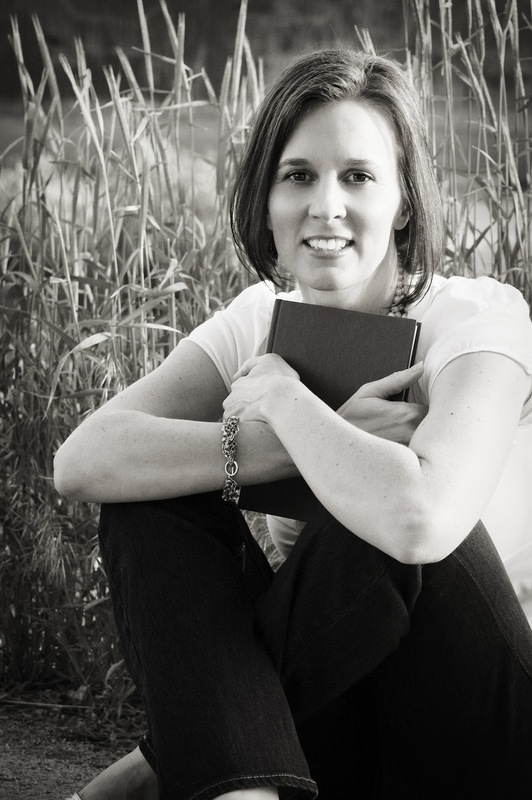 My Name is Not Easy by Debby Dahl Edwardson - this one comes to me out of left field! Last year Dark Water by Laura McNeal took me by surprise and I ended up reading it for Nerds Heart YA and LOVED it. Will have to pick this one up soon too! The winners will be announced Wednesday, November 16, 2011 so that gives us one month to get our read on! Which ones do you still need to read? 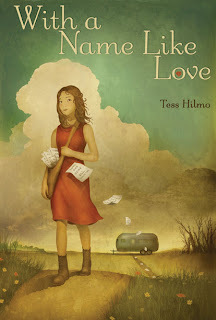 With a Name Like Love tells the story of Ollie Love as she and her family stop in the little town of Binder. The Loves family will stay in Binder for a few days while her father spreads the word. Her family has gone from town to town, never staying past 3 days, for longer than Ollie cares to remember. But right now, in Binder, Ollie is ready to settle down. When Ollie tells her dad that the family needs to stay in Binder, even past their 3 days, to help Jimmy Koppel, he agrees. But neither Jimmy, nor the town of Binder, want help from the Loves. Growing up, I’d often hear stories of my mother’s family. They were Quakers from North Carolina and kept fairly detailed records that had been passed down for generations. One member of this line, my Great Uncle Will, broke away from his Quaker roots and decided to become an itinerant preacher. He married a woman named Bertha and took to the road. They had a total of seven children as they went from town to town, state to state. He never affiliated himself with one religious sect over another, preferring instead to do good works and share a general message of kindness. 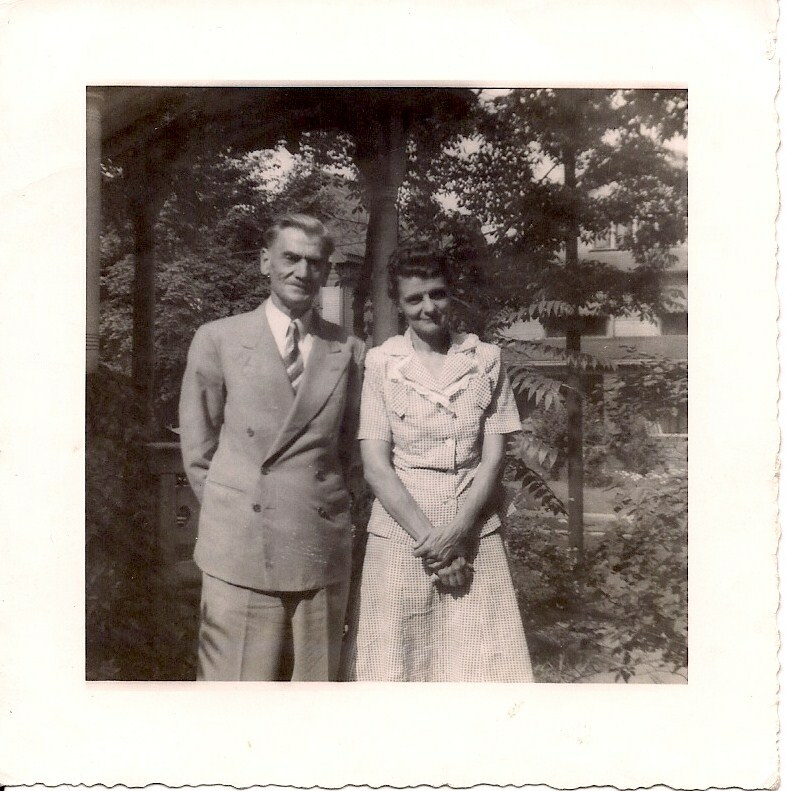 Great Uncle Will, the itinerant preacher with his sister (my grandmother) Gertie. While the father in With a Name Like Love, Reverend Everlasting Love, was not directly based on my Great Uncle Will, the concept of his lifestyle was. Bertha Dixon kept journals that she eventually printed into a book. I was able to read about the ways of a travelling preacher—about how they raised their children and about the people they met as they moved around the country. At that point, I knew I had to write Reverend Love as most itinerant preachers really were—hardworking, kind and devoted to their families. No matter how ordinary your appearance or how meager your circumstances, you can be an influence for good. Both my Great Uncle Will and his literary companion, Reverend Everlasting Love, exemplify this truth. Tess Hilmo arranged this beautiful song to give us a glimpse into Binder, The Loves and Jimmy Koppel. 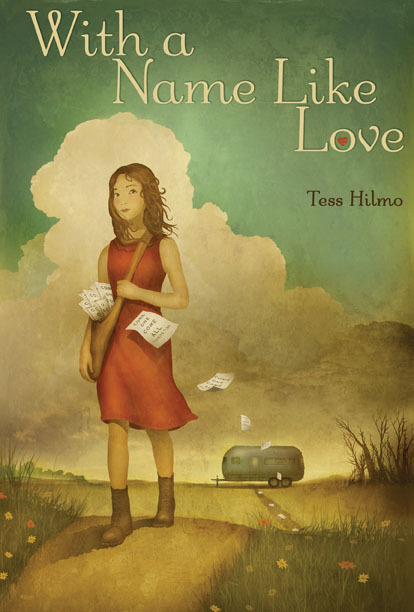 Tess Hilmo site - with a DOWNLOADABLE teacher's guide!